This is one of the most common questions we get from people who have been injured in an accident. After all, it is not unusual for more than one person to contribute to an auto crash. Perhaps someone turned in front of you, but you were going a little too fast. Does that mean that you can't recover for your own injuries? In Florida, the answer is no. You can still recover something for your injuries, even if you are partly responsible. Let's say that a Jury awarded $10,000 in damages but found you were 60% at fault for your injuries. Under the old common law you would recover nothing. However, in Florida, you would be awarded 40% or $4,000. In other words, you would recover for the amount of damage caused by the other person's negligence, but not for your own. How is that percentage determined? In theory, the jury apportions the percentage of each party's negligence. In practice, however, very few cases go to juries, so it falls to the parties, the insurance company and their lawyers to estimate what a typical jury would decide about a particular case. 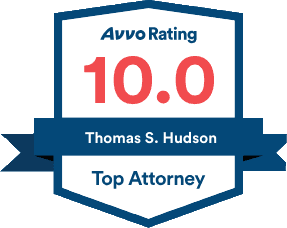 At the Hudson Law Office we aggressively pursue claims on behalf of our clients even if they may have contributed to their own damages or injuries. It is of the utmost importance to fully evaluate a potential claim in light of our state statutes and the facts, as they would be presented to a jury. Even if you may have had some responsibility for your own injuries, our state legislature believes that you are entitled to recover some monetary damages for your injuries. Remember, at the Hudson Law Office, we are on your side!